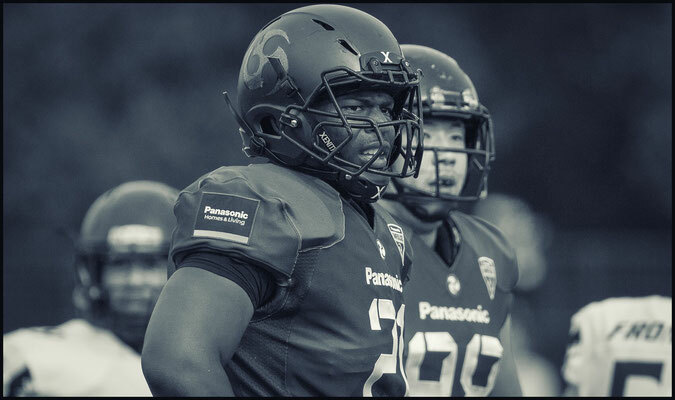 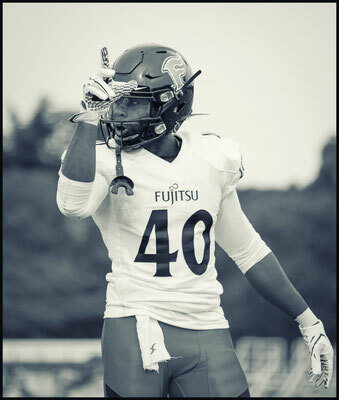 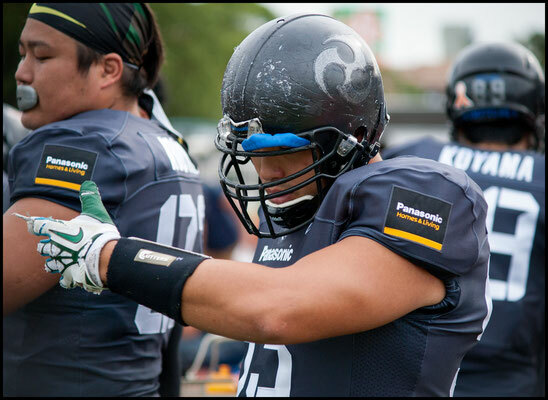 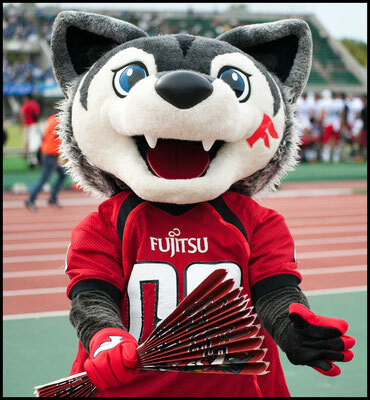 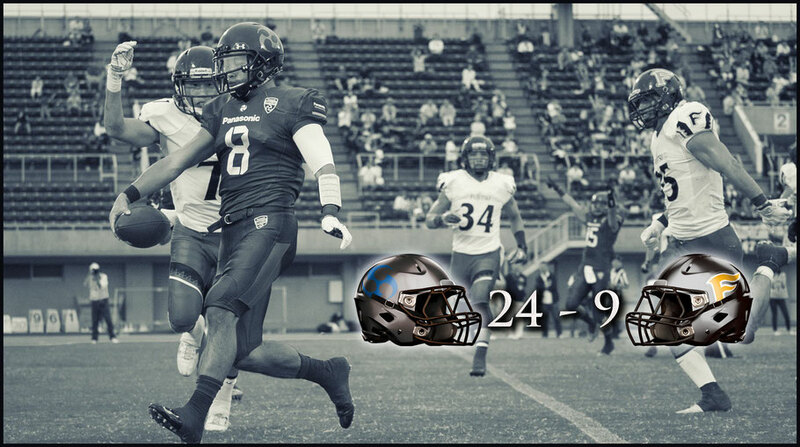 Panasonic Impulse are the Xleague's only remaining undefeated team after a hard-fought 24-9 victory over a Fujitsu Frontiers side that had also come into the game 3-0. 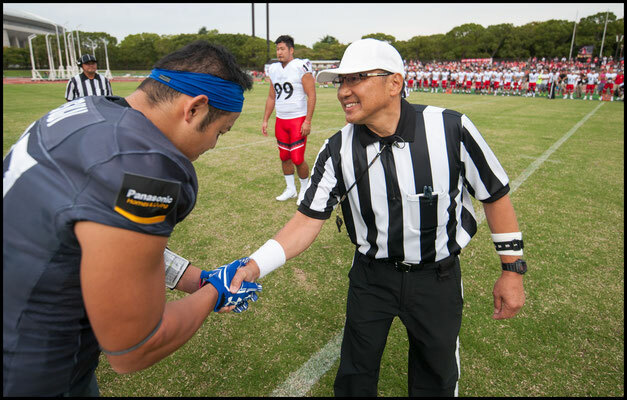 Entertaining a boisterous crowd of nearly 2000 fans, each team gained over 300 yards on offense, but Panasonic got the scores that mattered and their defense was stout when it needed to be. 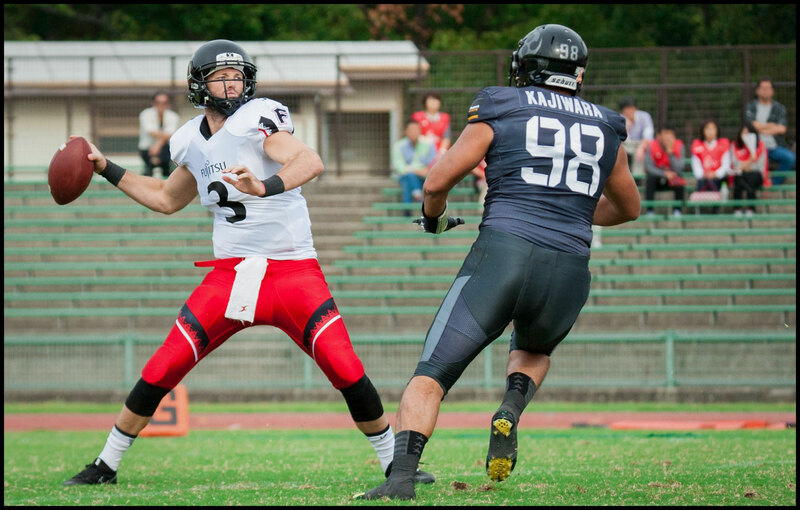 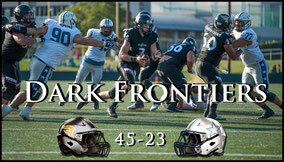 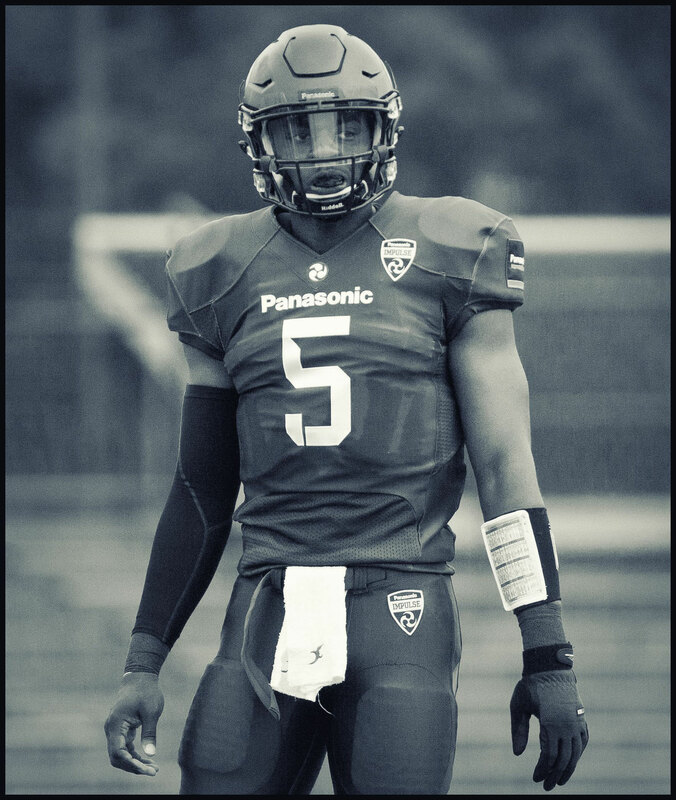 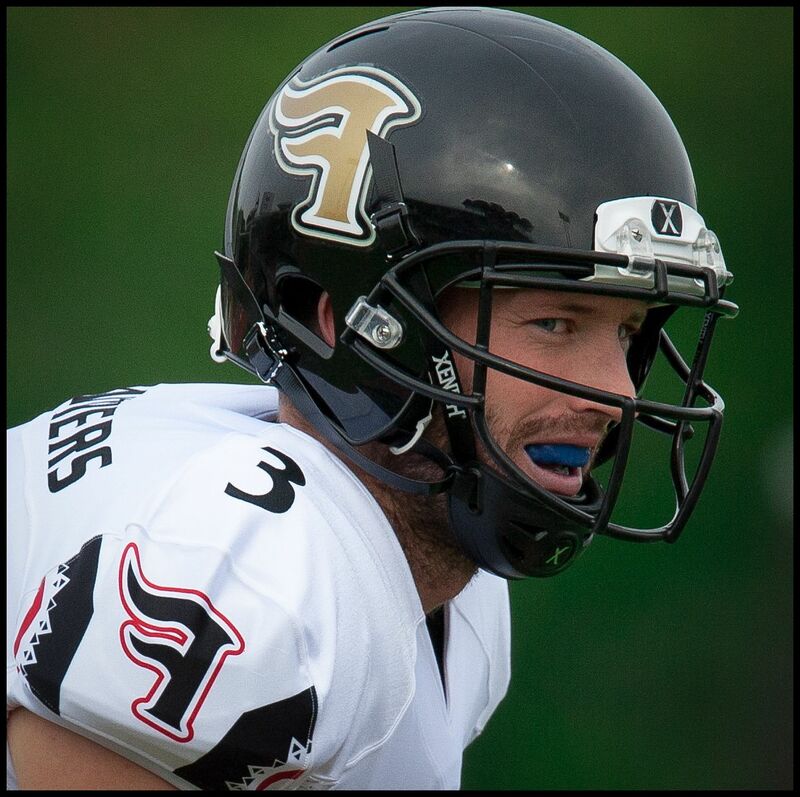 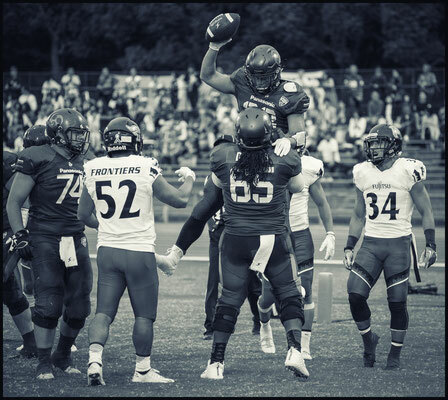 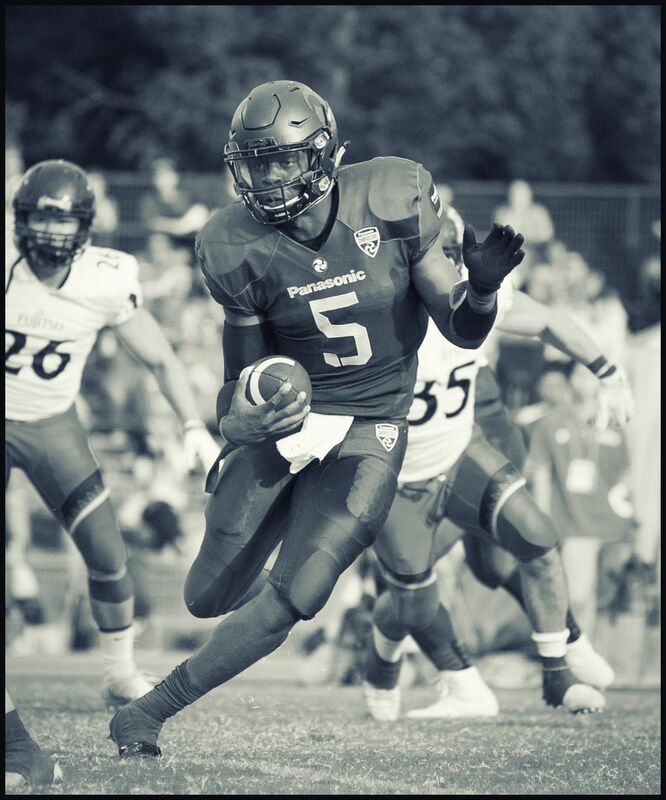 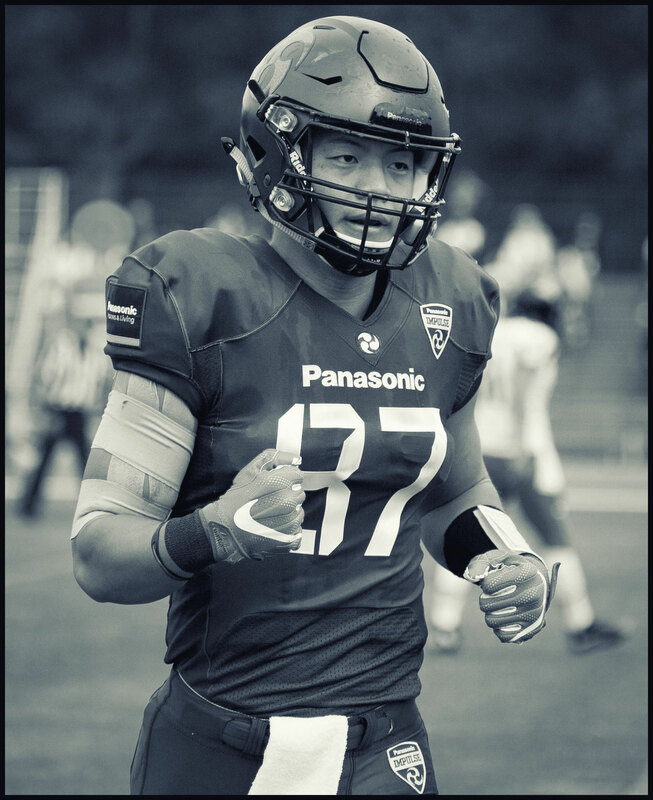 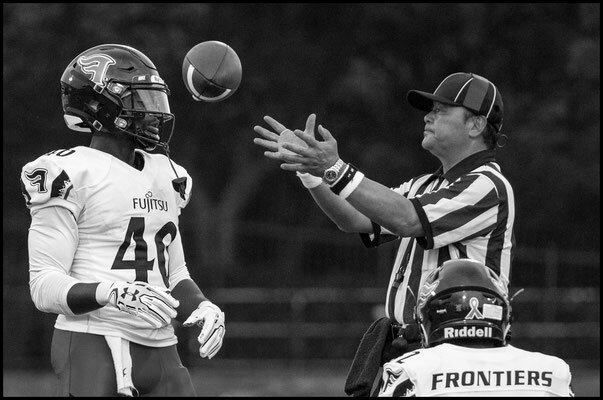 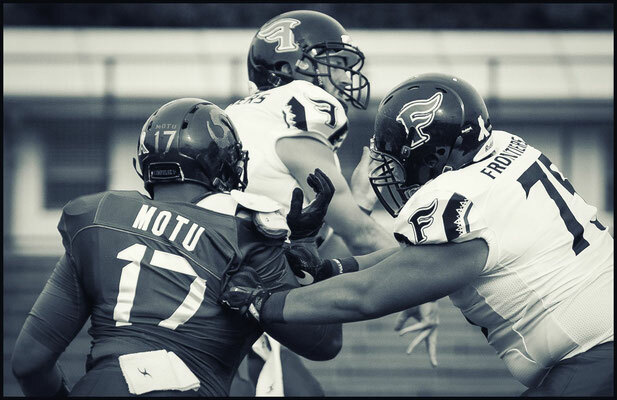 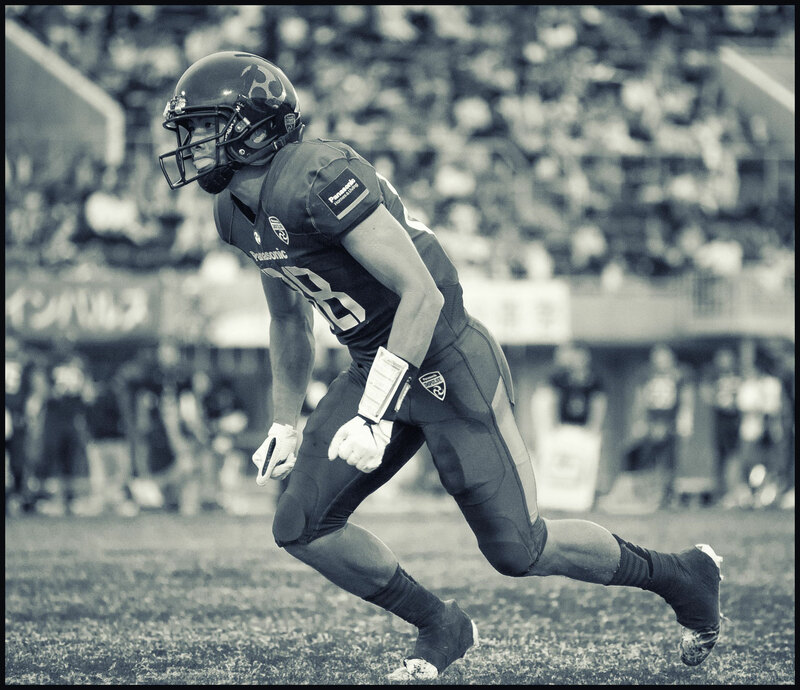 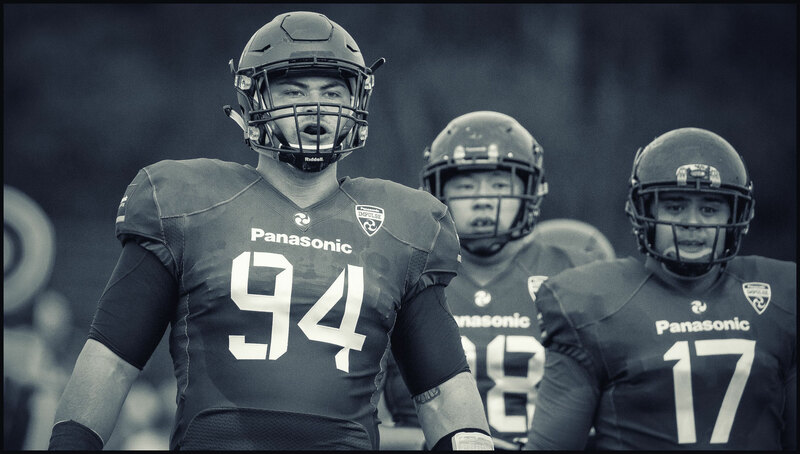 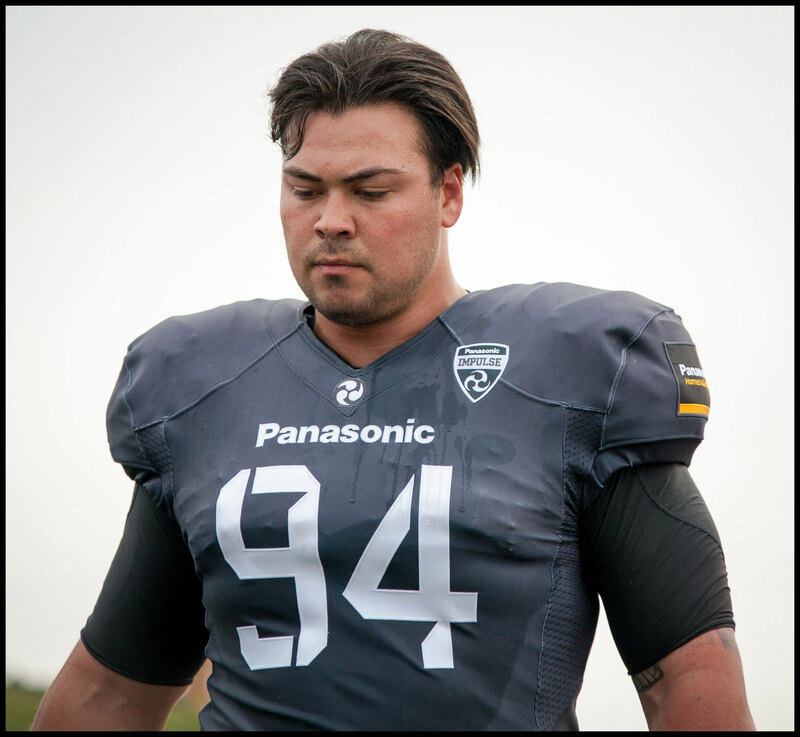 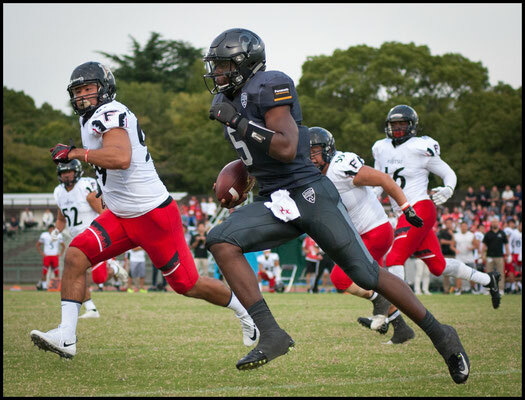 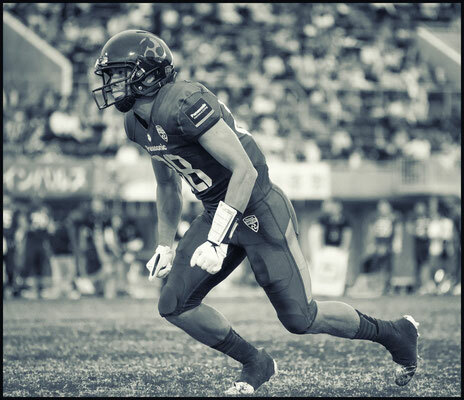 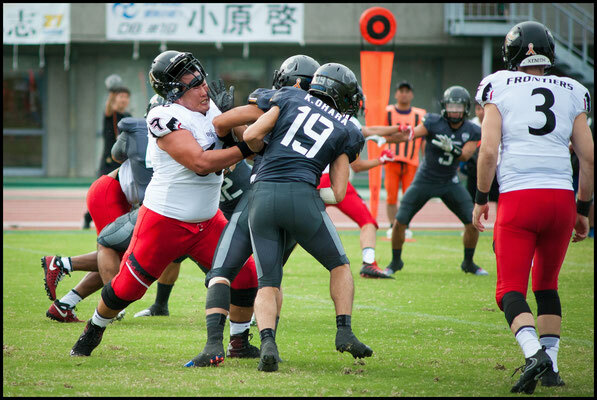 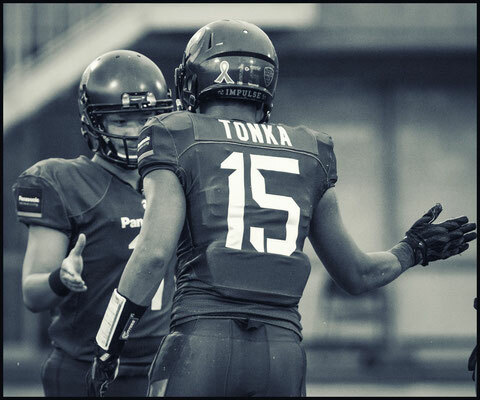 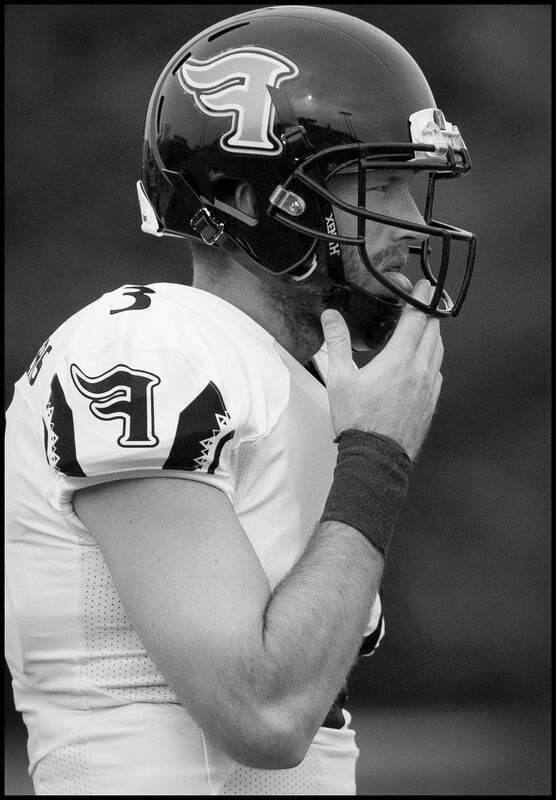 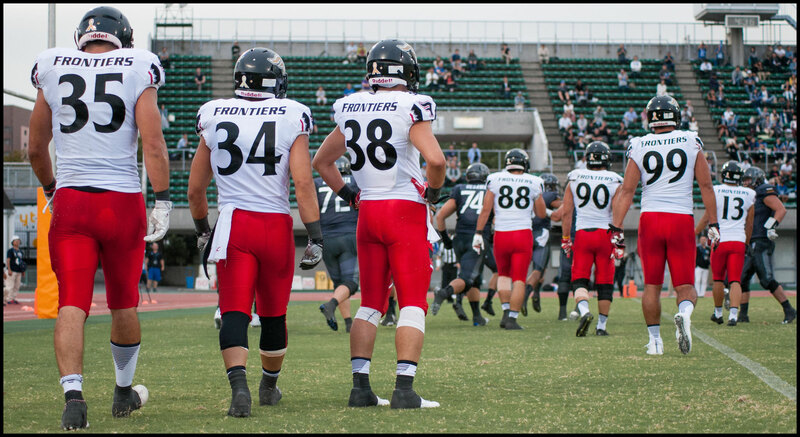 Frontiers' QB Colby Cameron had 211 yards on 20 of 39 passing as well as 62 yards scrambling, but was sacked twice and gave up two interceptions before finally finding WR Sei Kyo for the Frontiers only TD with 11 second remaining in the game. 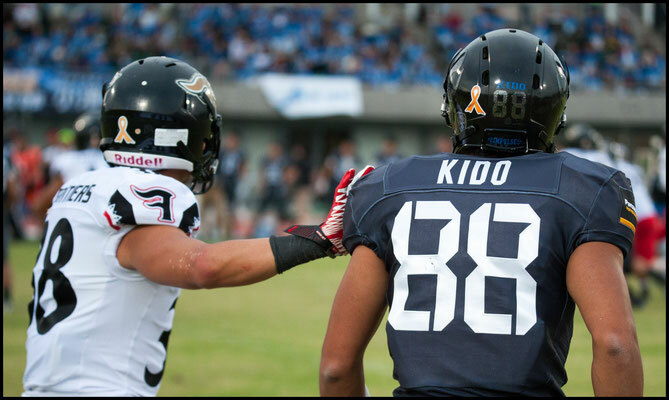 Kyo’s 21-yard TD reception capped his four-catch day in style. 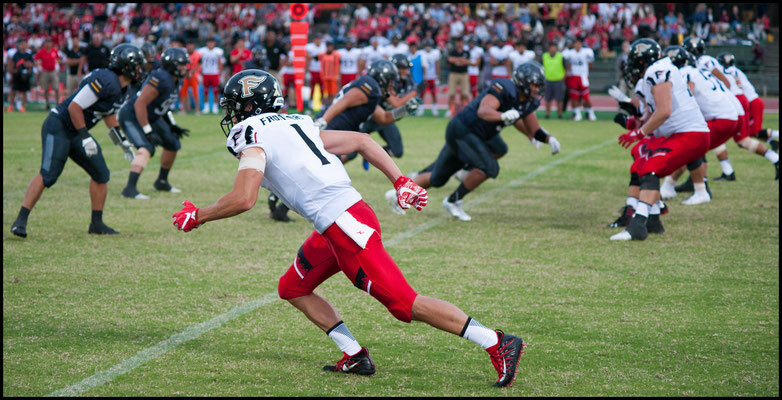 With one foot in bounds he pirouetted on the left sideline, and caught a bullet pass from Cameron. 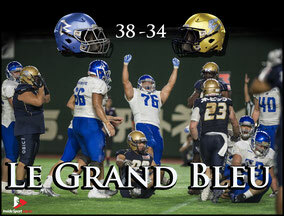 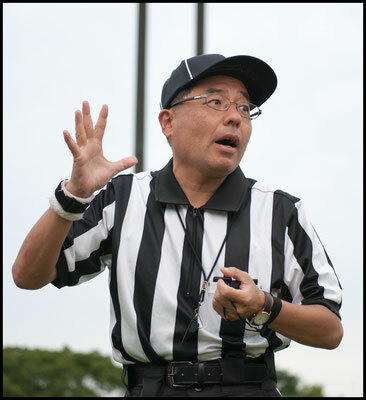 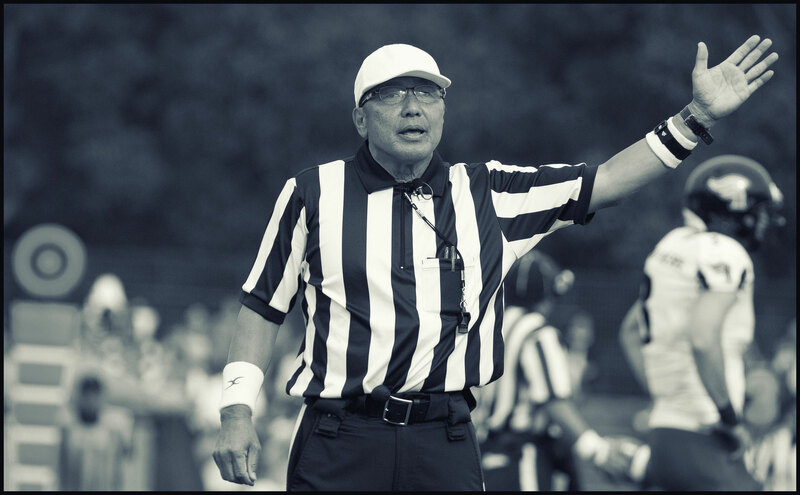 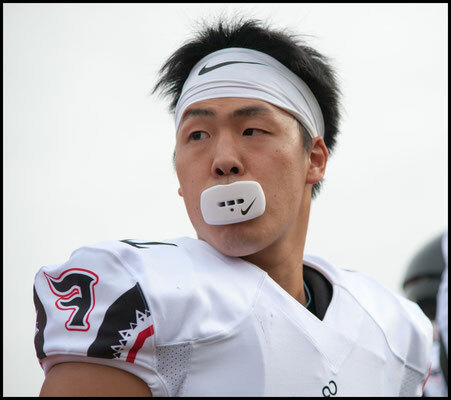 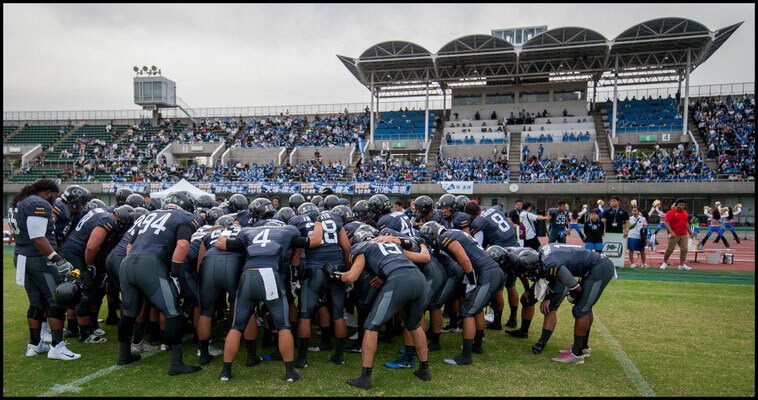 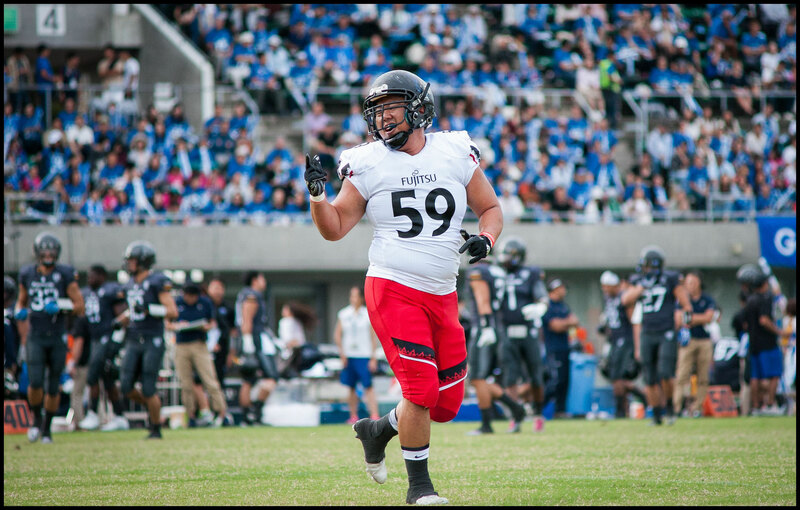 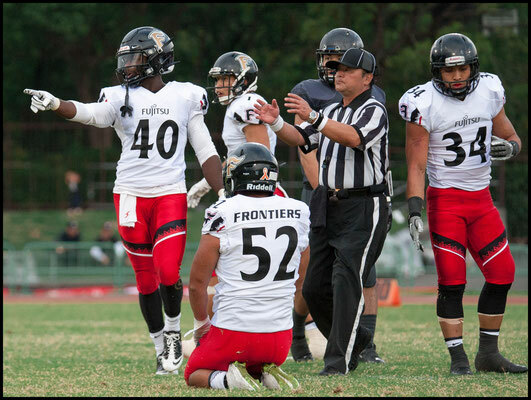 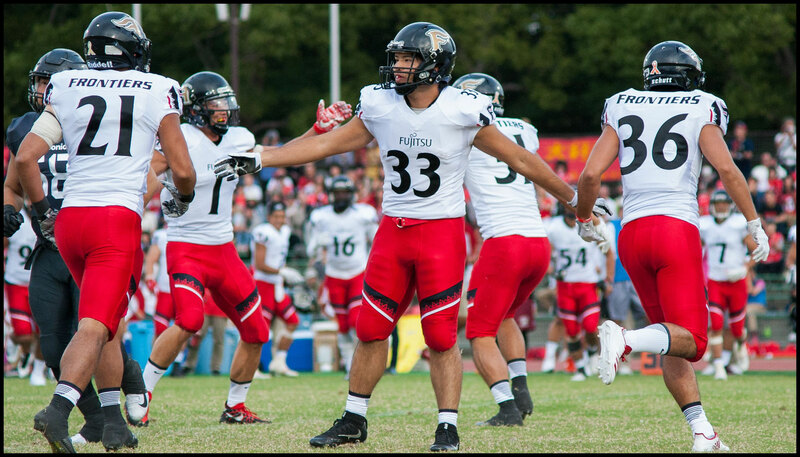 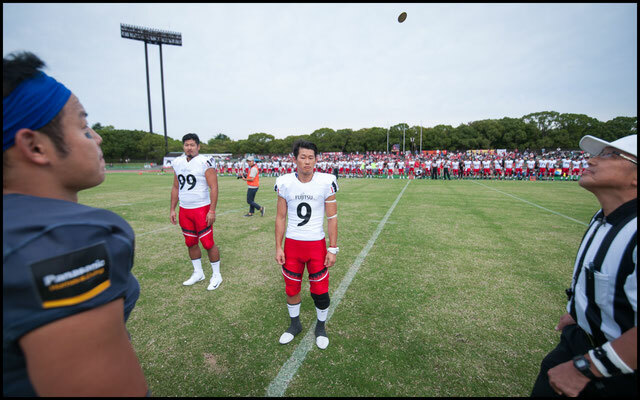 The two-point conversion failed however, and the only other score for the Frontiers came on a Hidetetsu Nishimura 46-yard FG with the ball flipping just over the crossbar in the third quarter. 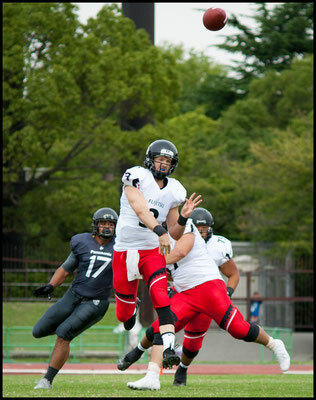 Nishimura didn't have the range on an earlier 53-yard attempt and also had a 37-yarder blocked. 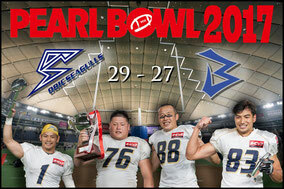 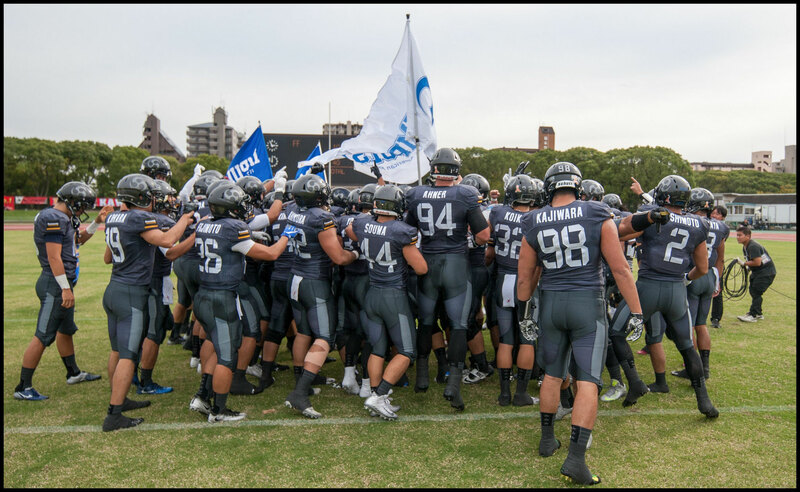 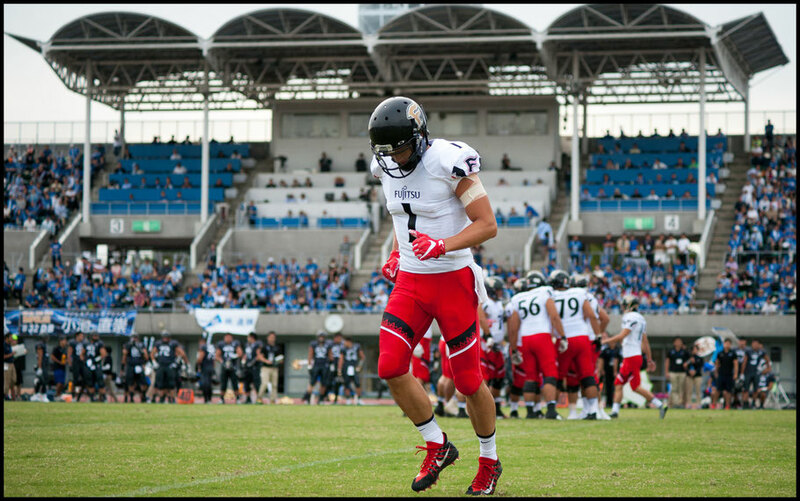 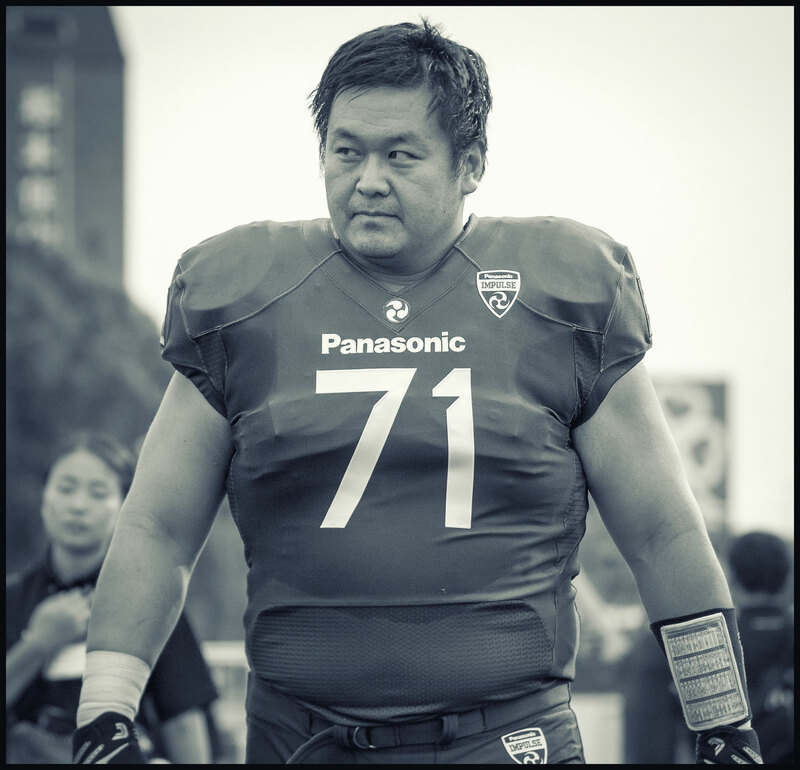 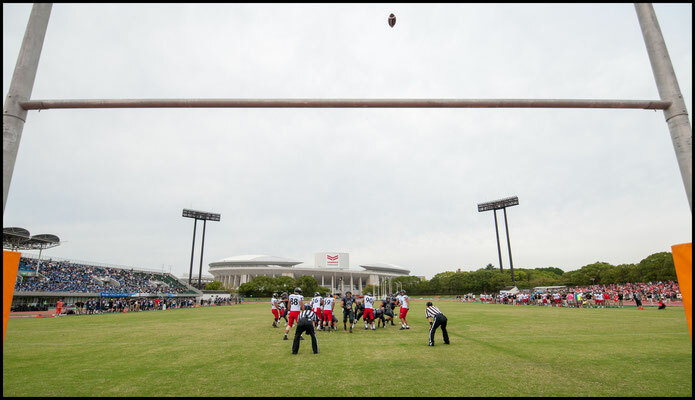 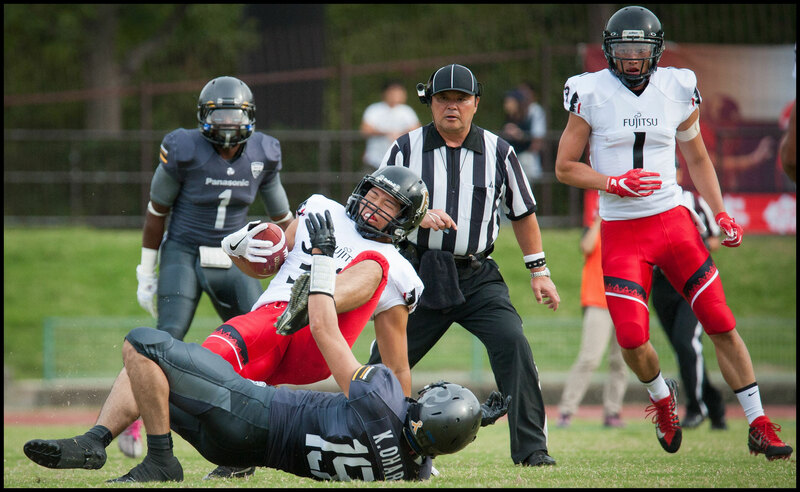 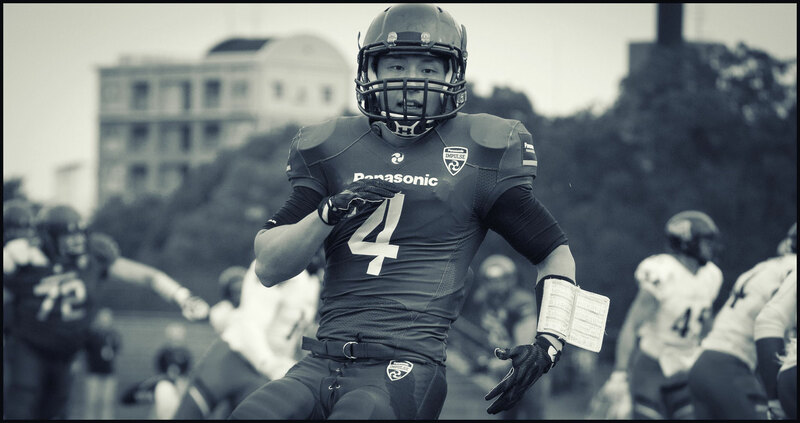 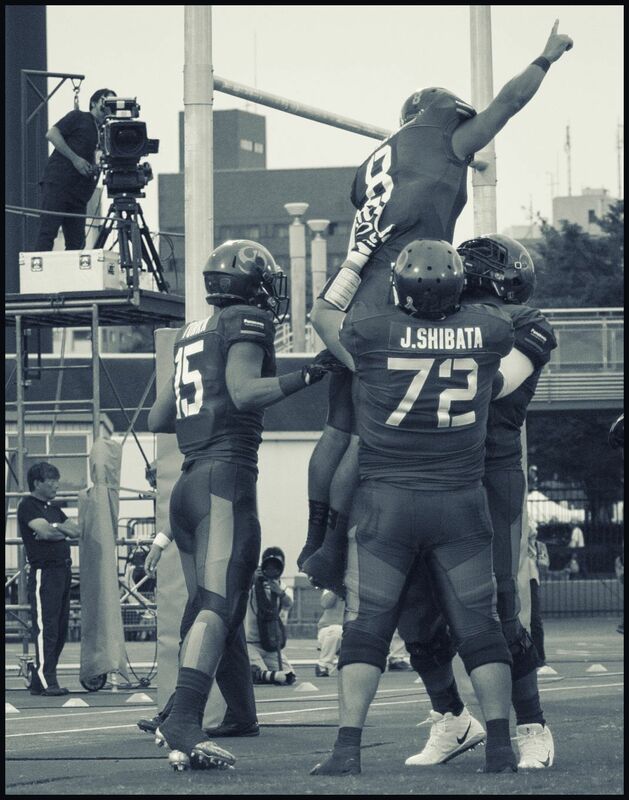 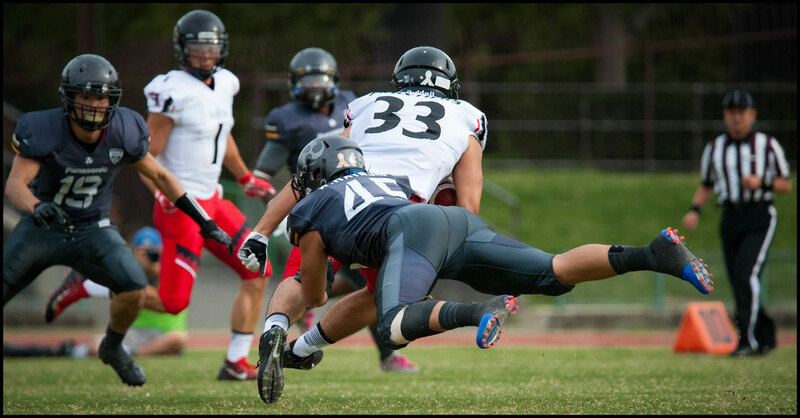 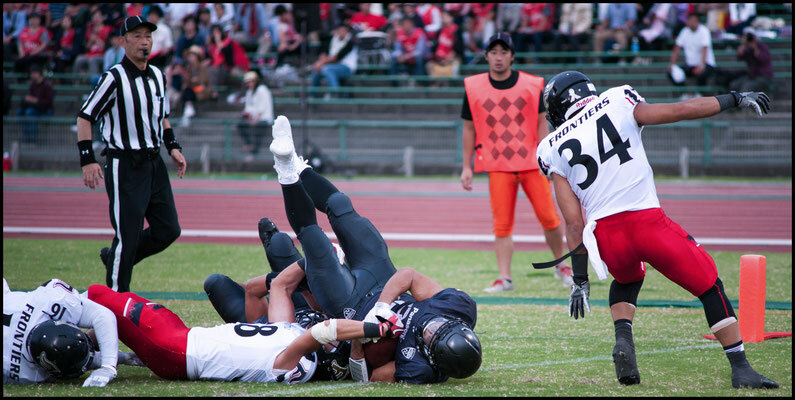 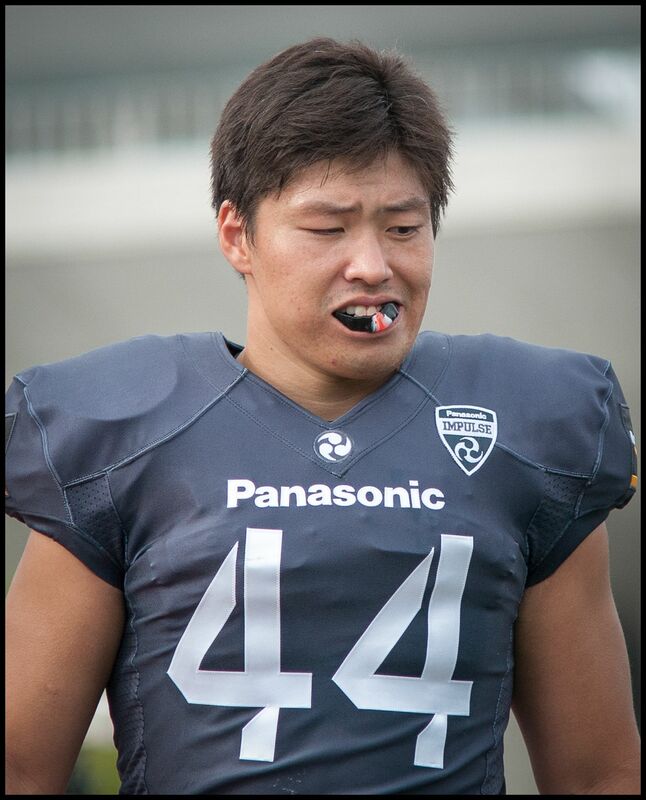 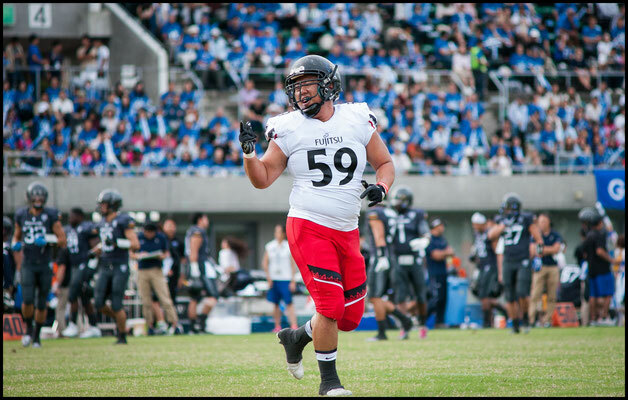 Impulse captain, DB Atsushi Tsuji came up with the ball and tacked on 17 yards before being brought down. 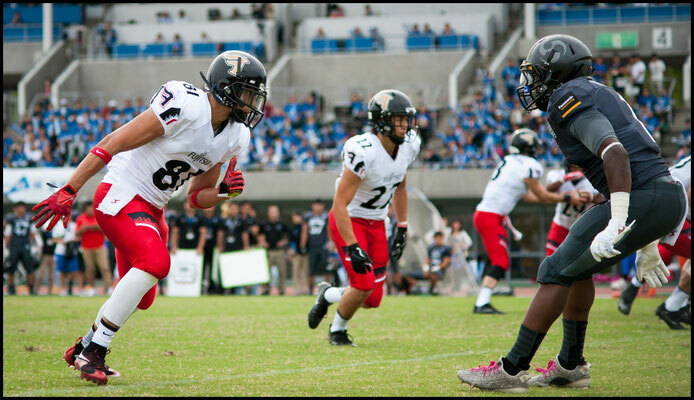 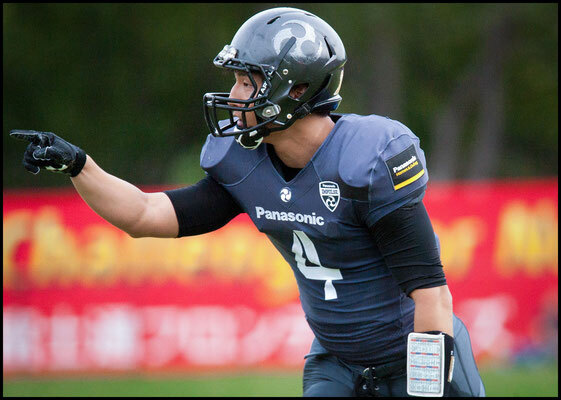 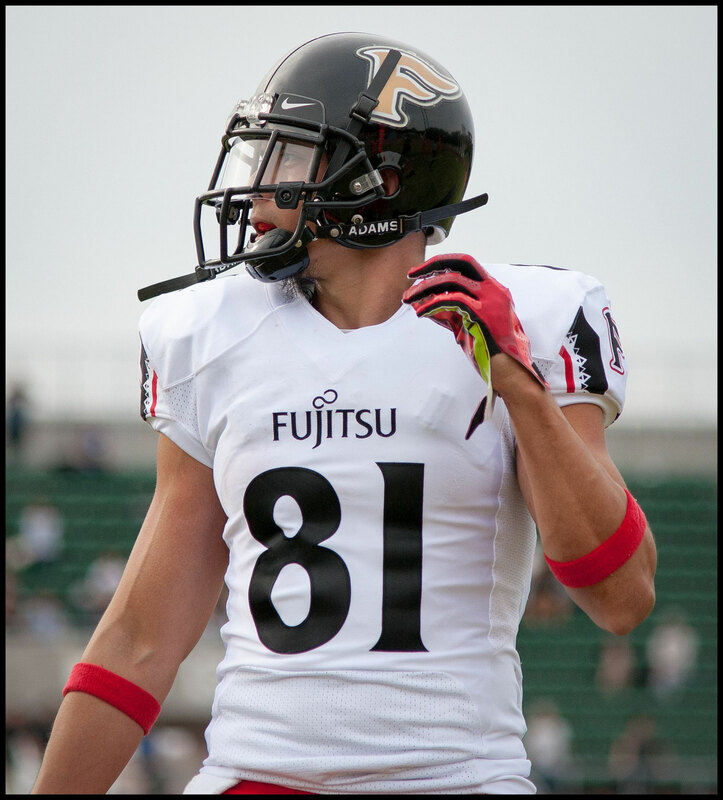 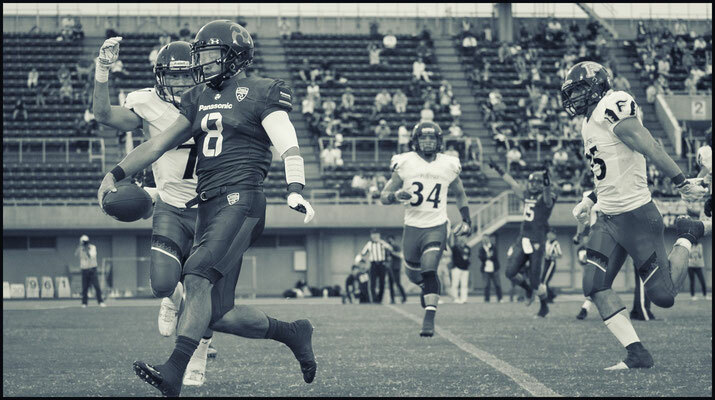 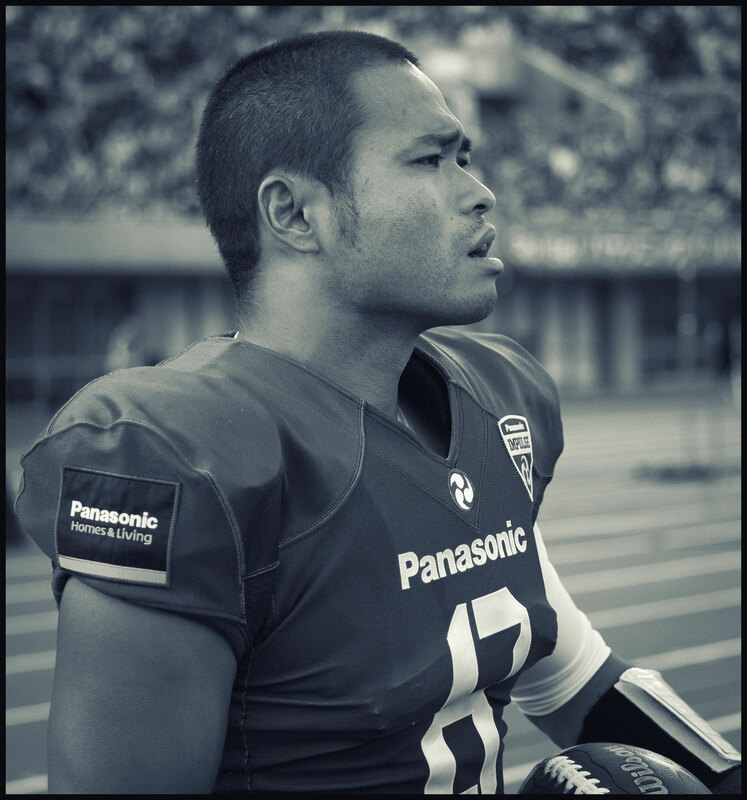 Tsuji also had a huge 40-yard INT return in the fourth quarter. 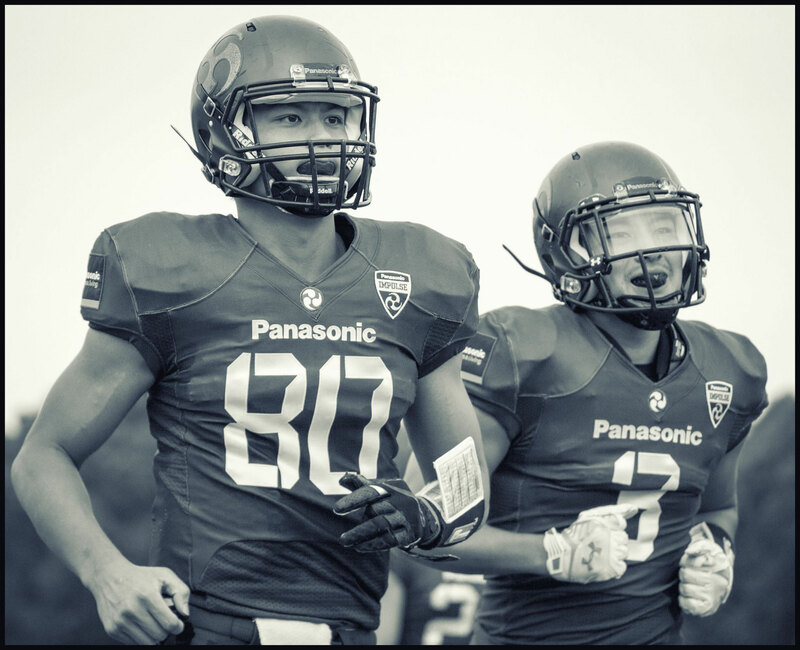 Panasonic punted that possession away but it was a crushing blow to the Frontiers who had kept the game close for three quarters. The Frontiers were able to stick with the Impulse because of Panasonic’s 12 penalties on the day. 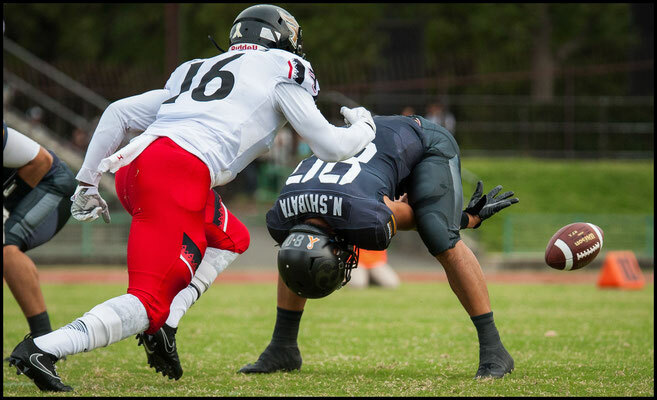 That number would be too high for most teams to overcome but the Impulse are too good at too many positions to be stopped. 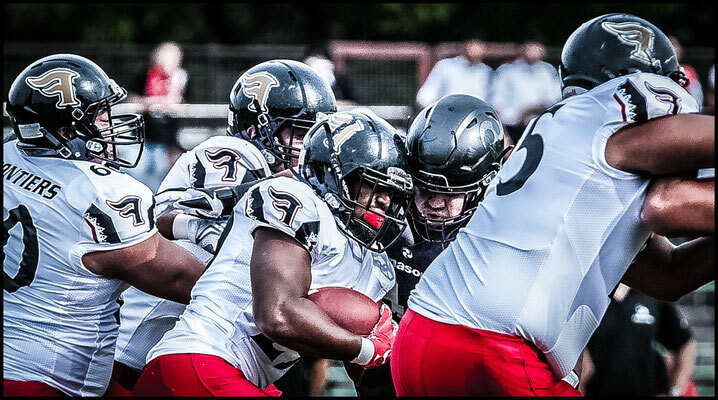 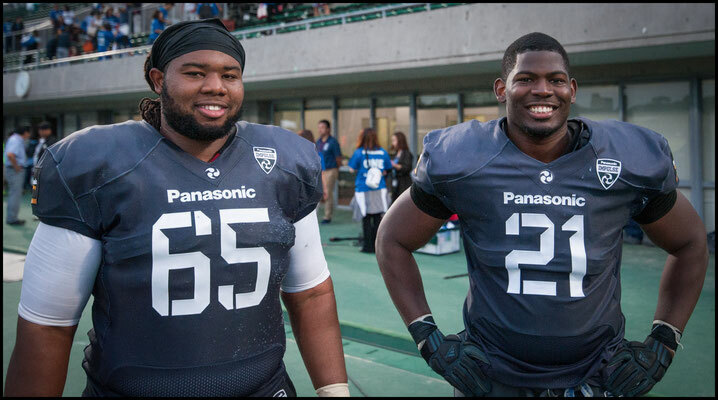 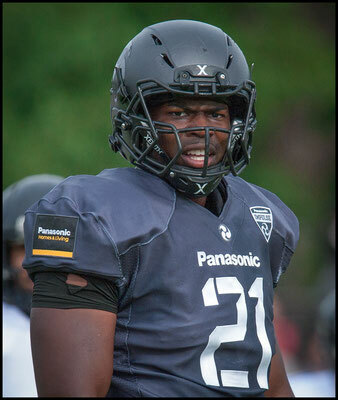 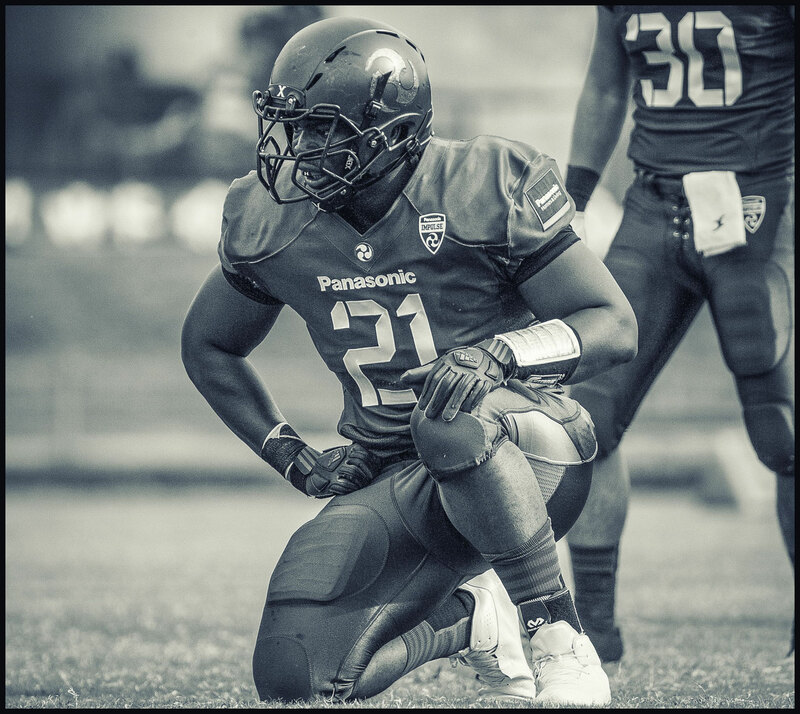 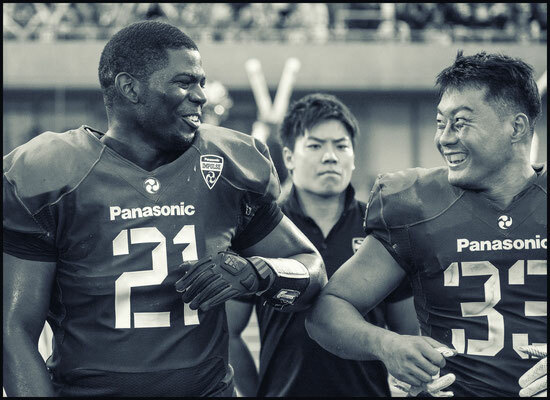 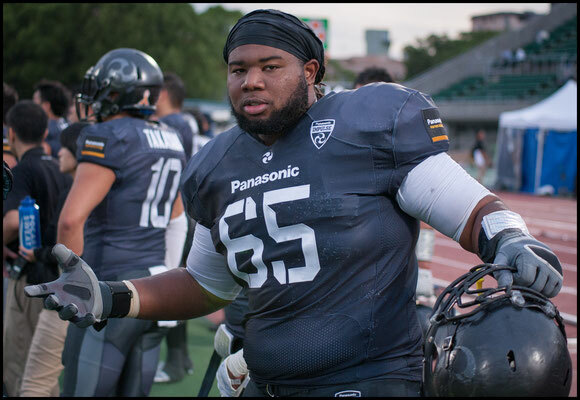 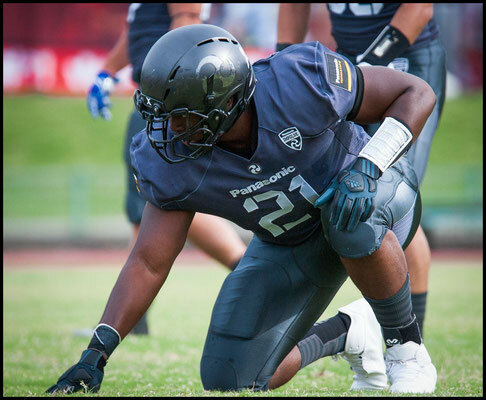 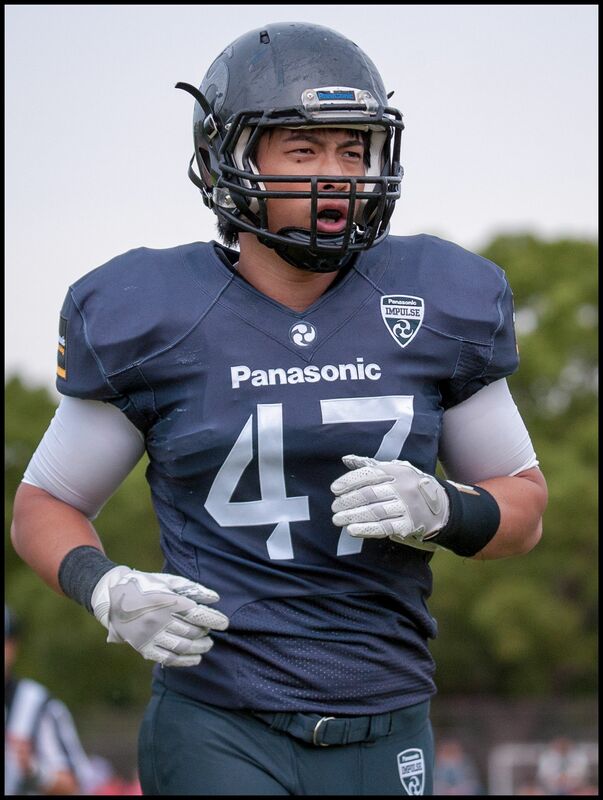 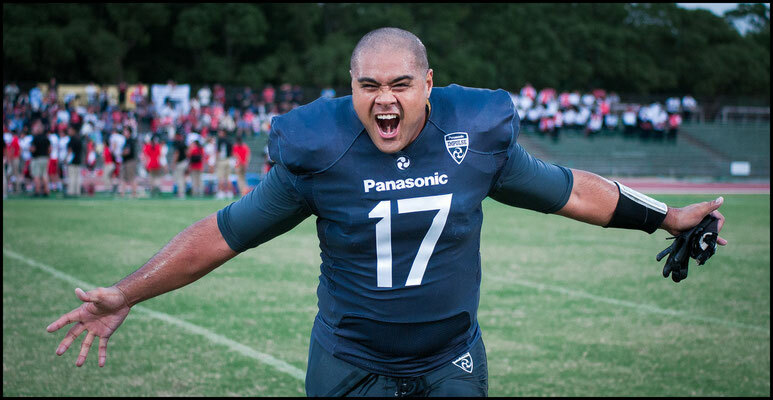 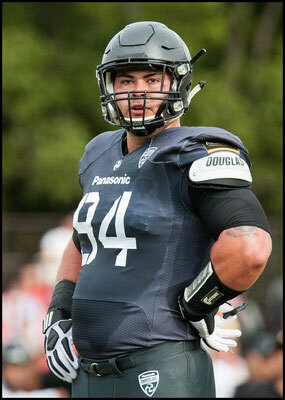 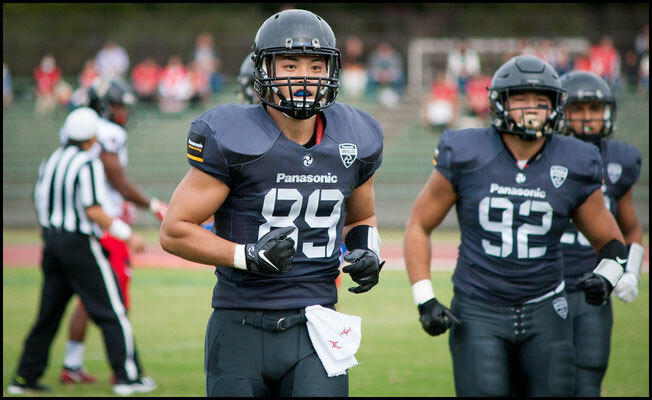 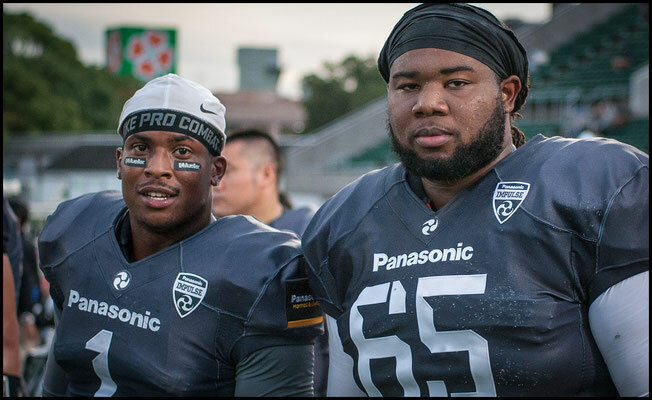 Panasonic's defense had seven different players record multiple tackles and the offense had three players complete passes. 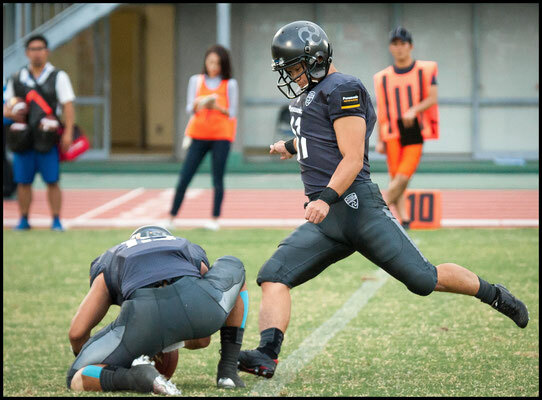 Starting QB Benjamin Anderson's quick hands and even quicker feet set the tone for the game. 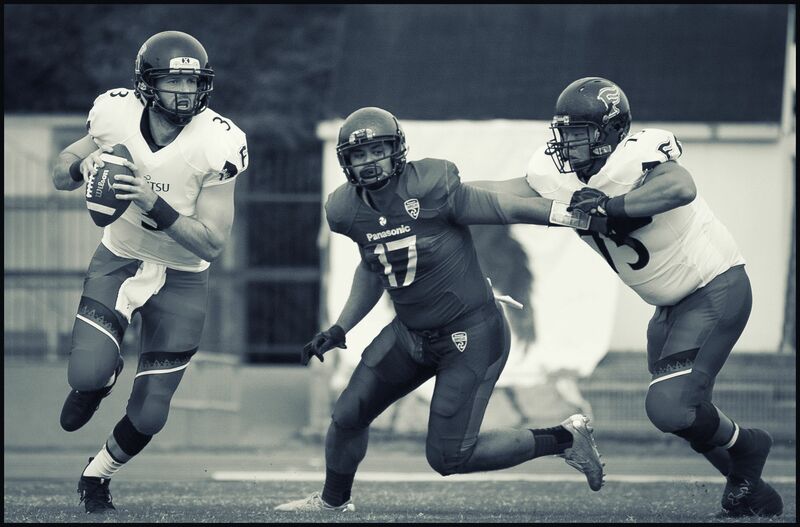 Anderson was a model of efficiency gaining 68 yards on 10 rushes and had 61 yards on 5 of 6 passing. 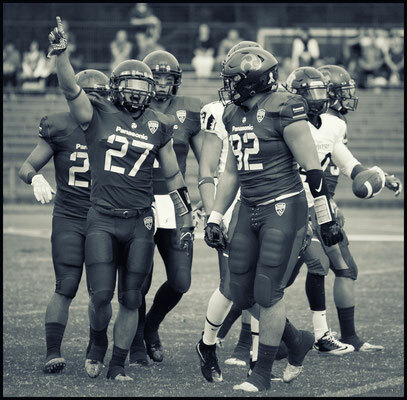 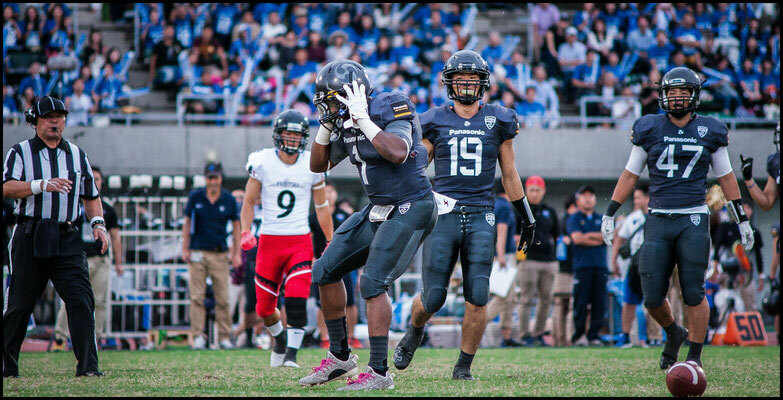 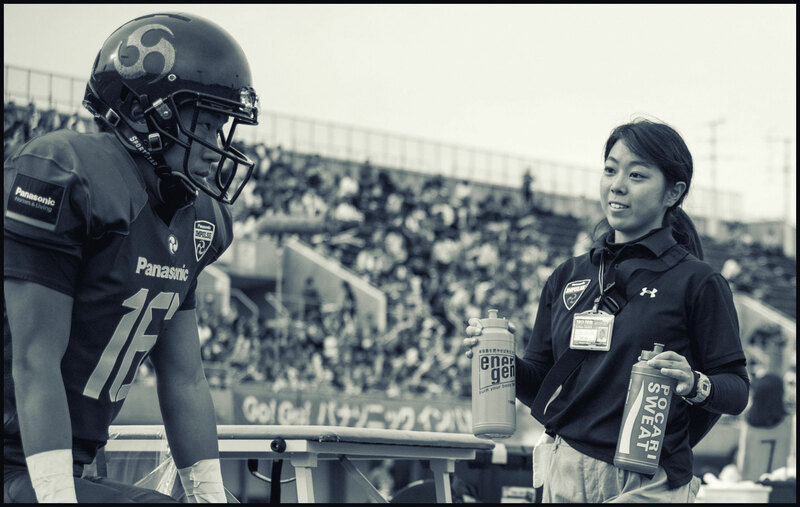 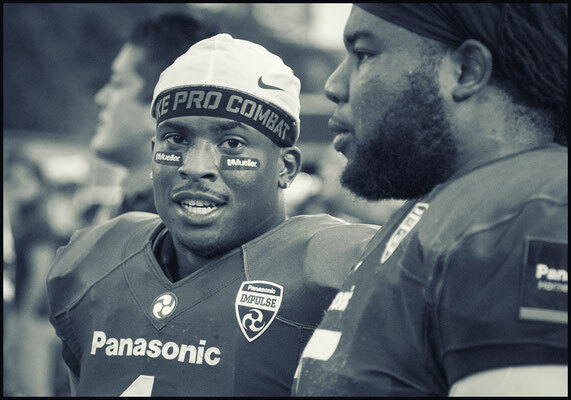 The Impulse favor an option offensive scheme that sees QBs Anderson and 2015 X-Bowl MVP Tetsuo Takata, share rushing duties with three strong backs including Shun Yokota, who got a TD and 61 yards on 18 attempts. 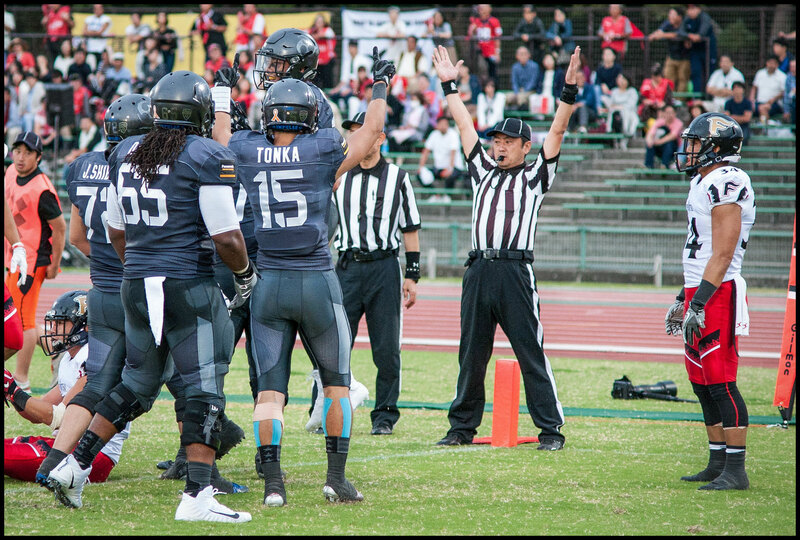 What the stats don’t show is Yokota’s ability to move the scrum downfield for extra yards after first contact. 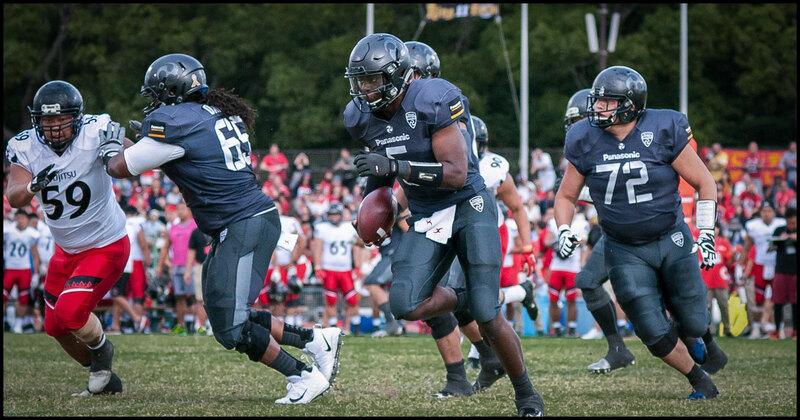 It usually takes more than one man to bring him down and just having him in the backfield opens up options for the QBs to run. 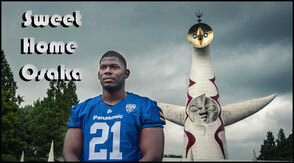 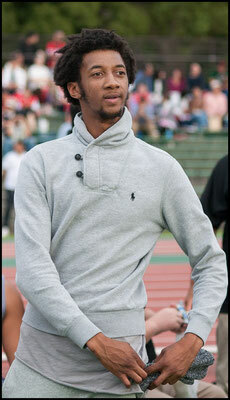 Takata only carried twice but scored on both runs. 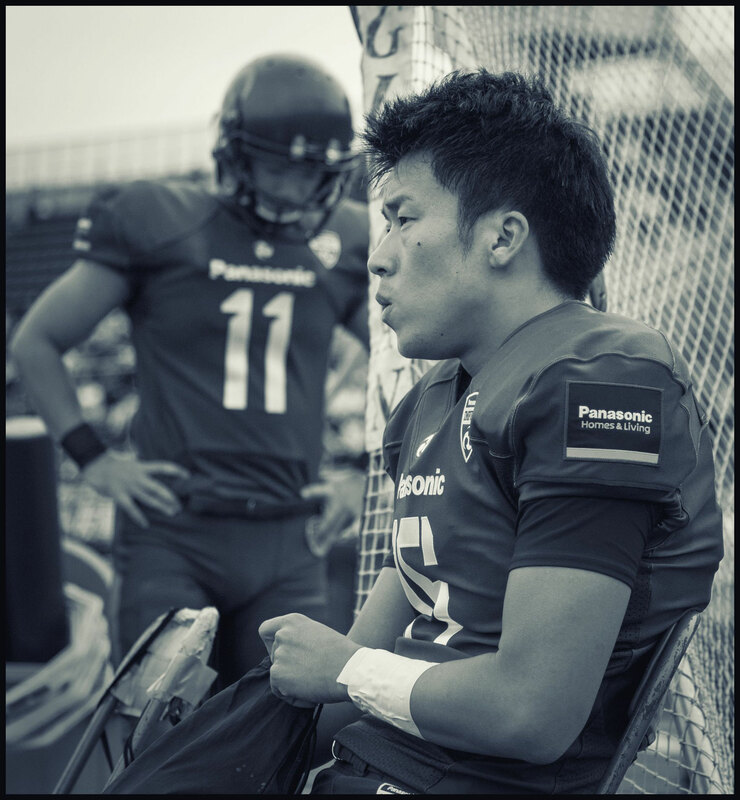 The third player to have a completion for the impulse was WR Koji Takagi, who got the ball on a lateral in the left flat and then after drawing in the defense, chucked the ball 30 yards across the field to a waiting Shun Yokota. 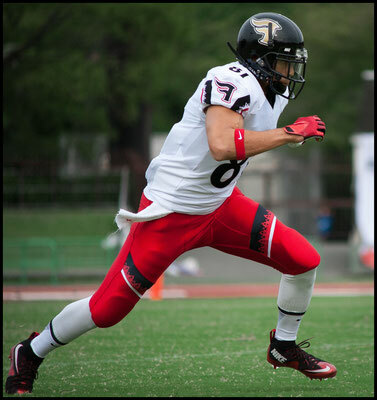 Takagi also had one short catch but also gained 43 yards on his only carry of the day. 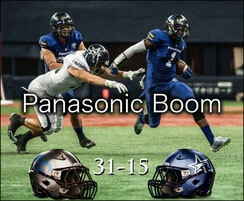 On Panasonic’s first possession of the second half the 29-year-old got the ball on a sweep to the right and nearly broke free for a TD. 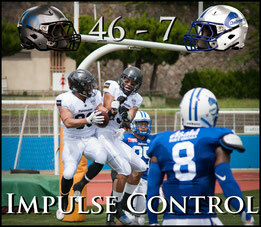 Impulse got a FG on the possession to go up 10-0 and never looked back. 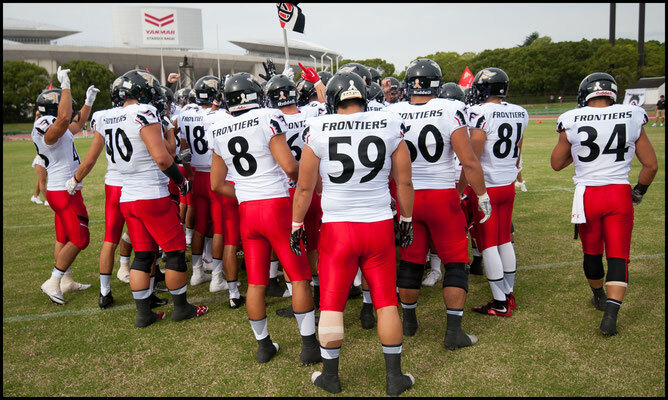 The Frontiers meanwhile next meet the Asahi Soft Drink Challengers, who won earlier in the day on the same field.